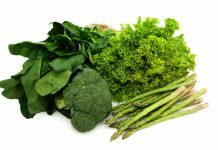 What Is Healthy Pregnancy Diet? Home PRENATAL CARE PREGNANCY DIET & NUTRITION What Is a Healthy Pregnancy Diet? When trying to get pregnant, or while pregnant, there are high chances that all you will hear about is a healthy pregnancy diet. However, many will not go into more details about what you need to eat or drink for that. Here is a short list of things that you should and should not eat and drink while you are expecting a baby. Starting with what you should stay away from is caffeine because this is something that you should start cutting down on before you get pregnant. A healthy pregnancy diet will only have 200mg of caffeine per day, which is two cups of instant coffee. However, you will also need to think about the tea that you drink too as well as chocolate that you eat. Those who like their steaks rare or soft boiled eggs will be disappointed because these foods are linked to bacteria that will harm a fetus. All undercooked foods will need to be avoided, including pates and seafood, including sushi. Liver is another food that you should add on your list of “what not to eat”. This is due to the high amount vitamin A in it. You will also need to avoid some types of fish, including shark and tuna due to the levels of mercury in it. Fruit and vegetables will be your friends for the next nine months. This is because they are full of vitamins and minerals that your body will need during this time. While fresh forms are considered to be better for you, you will still benefit from frozen products too. Eating starchy foods, like potatoes and pasta, will also help to add the minerals that your body needs. Try to opt for wholegrain wherever possible because these are better for you. High protein foods are also highly recommended, just make sure that your meat and eggs are fully cooked before serving, and calcium from your dairy products are needed. Do you need to eat more? When pregnant, there is the common saying of “eating for two”; however, this is not actually true until the final trimester. During the first and second of the pregnancy trimesters, your baby is still growing and will be able to handle the nutrients that you gain from your normal diet. Surprisingly, a healthy pregnancy diet in the final three months is just an extra 200 calories per day. This is because the body is able to utilize all the calories much more efficiently. As part of a healthy pregnancy diet, you need to ensure that you are getting all the nutrients that your body requires. While most of these will come from food, there are some that you will need to take in pill form; your doctor or midwife will be able to help you with these. Most of the time, you will find that you need folic acid and vitamin D supplements as part of a healthy pregnancy diet; these are vitamins that you should consider taking before you get pregnant. In later stages, you may find that your doctor prescribes you iron or calcium supplements. 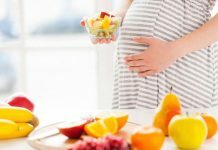 Previous articleIs It Safe to Diet in Pregnancy? Next articleWhat Does Pain During Pregnancy Mean?